Disney World knows how to do parades, and we saw two of 'em! We also all took a whirl on our favorite rides. Hubby likes The Haunted Mansion, so that was one of the first things we did. I thought this guy in the picture above was funny. All of the sudden out of the blue he started blowing bubbles into the line while we waited (I guess he was a fun ghost ;) ). My oldest and his family. Baby girl's first time to Disney World! It was a huge bonus that my oldest son got two weeks of military time off, and flew down with his wife and daughter (they're still in Florida, those lucky ducks!). 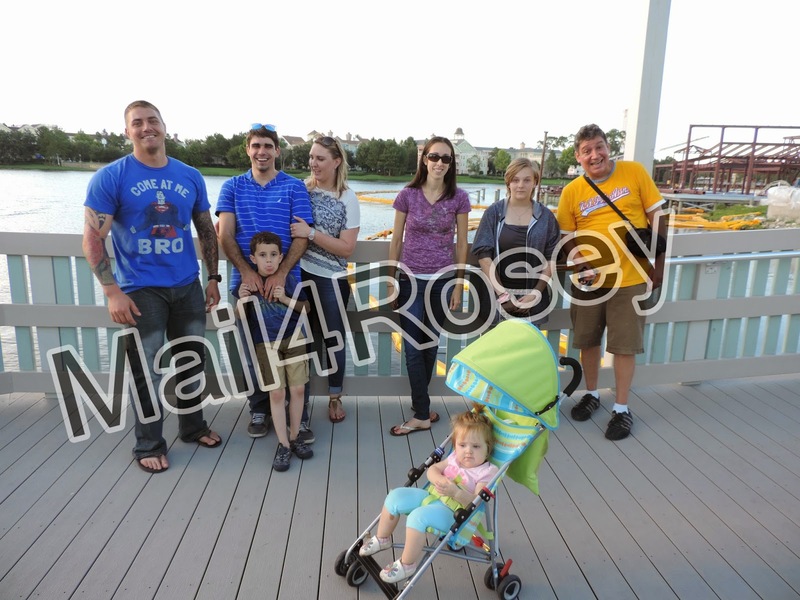 They went to Disney with us (grandbaby's very first time!). My 2nd oldest and his girl couldn't stay long but they had a good time while they were there. If all the kids are with us, no matter where we are, I'm a happy mama! I like to spend time with any of my children, always, but when we're all together, I'm up there on Cloud 9. My very good friend (who is also the kids' aunt) came up and we were oh so happy to see her! We spent part of our vacation time exploring Downtown Disney, which was within walking distance of our resort, and that was fun. Even my baby girl (well, my daughter's not really a baby anymore ;) ) let me take her picture a few times without giving me 'the face,' so woot! There was a couch section, tables & chairs, ceiling fans, and a restaurant/bar/snack area in the back. We also spent quite a bit of time hanging out at the pools in the hotel. 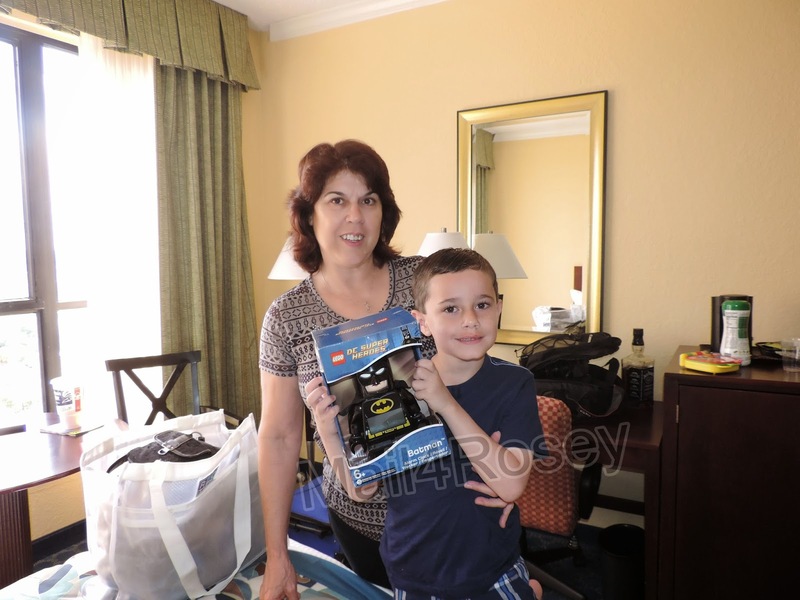 That was another one of the reasons I loved the Wyndham Lake Buena Vista Resort so much. There were cabanas, a big covered area with couches, tables and chairs, ceiling fans, and a lunch/bar/snack type area. They had healthy food options on the menu too, which made me happy. Even the baby loved the pools. In fact, she might have loved them more than anyone else (and that's saying a lot!)! 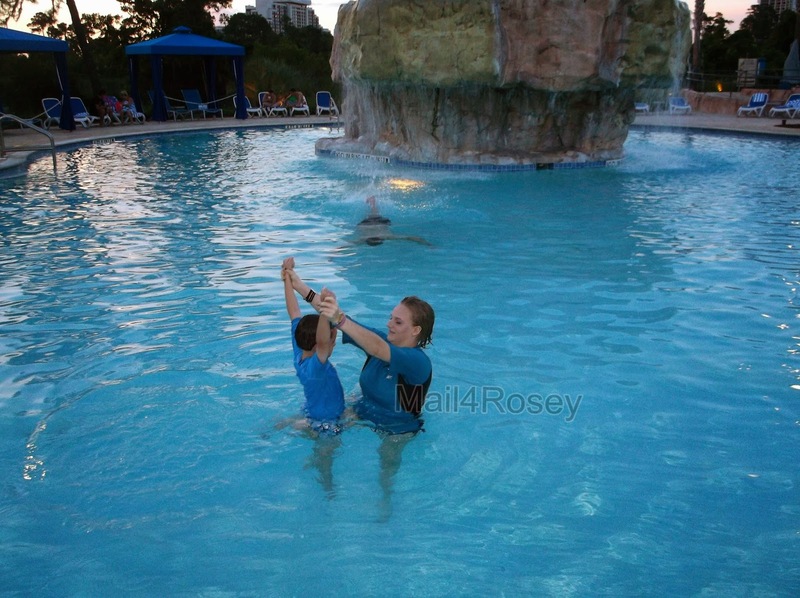 The temperatures in Florida were so nice that we could even swim as it was getting dark. If you look carefully you can see hubby creeping up on the kids in the background. 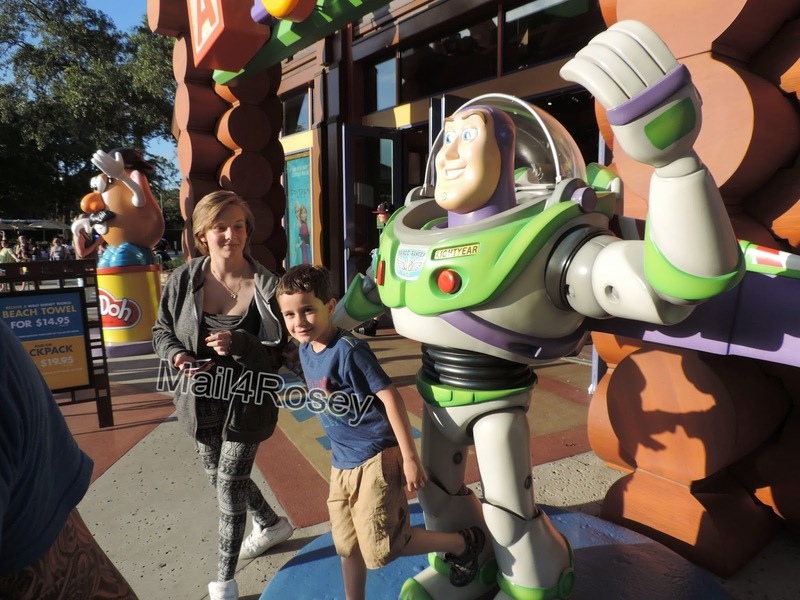 You met Buzz, you have no idea how jealous I am right now!!!! Oh this is so perfect!! I'm so jealous! This is making me get really excited for our visit in August now!! I am obsessed with Disney! Couldn't agree more about summer and starting it with Disney is absolutely perfect (again totally agree with you!!). Glad you got to see so much of your family! Now that looks like one fun vacation, relaxing with all the family and friends and running around too. Looks like you had a great time.How lovely that you had your family there with you. The best times of all are spent with family. 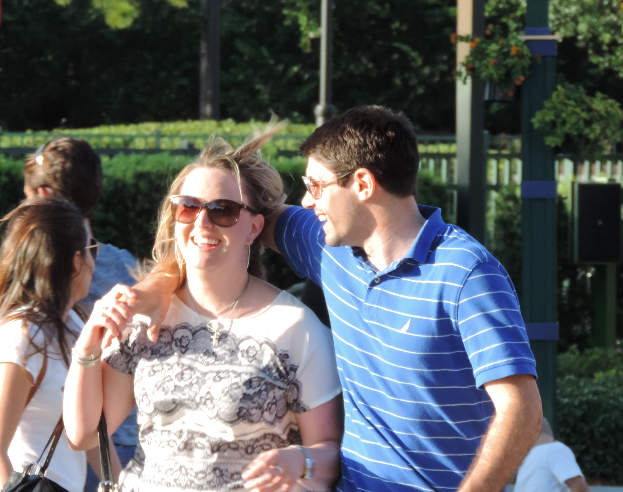 How lovely that you were able to see your kids and also be in such a fun and wonderful place as Disney World. How exciting! You got some great pictures. I hope to be able to take my boys some day. Ohhhh. I love Disney. Land. I've never been to World. These pictures make me anxious for the husband to be done with school because we've promised the kiddos a great trip then! I've never been to Disneyworld but Disneyland is my favorite place in the world! It look like you had a fantabulous time, and the best part of all was having all the family together. It's been a loooooong time since we had all our chicks together at one time. Our younger son works for Disney Corporation, and one of the perks is fre admission to all the Disney attractions. He has a boatload of kids, so that's a great deal for them. They can go every weekend if they want. It's a good deal for us when we visit, too. Free for us, too. Cool huh? You have a beautiful family and it looks like you had a great time! I haven't been to Disney World in over 30 years. Makes me wonder how much it's changed! This makes me realize how much I want a Disney vacation! The next time I go, I hope to stay at one of the resorts. I've never had the resort experience at Disney. Thanks for sharing about your vacation! We just took our little guy to LEGOLAND and hope to make it to Magic Kingdom one day soon! 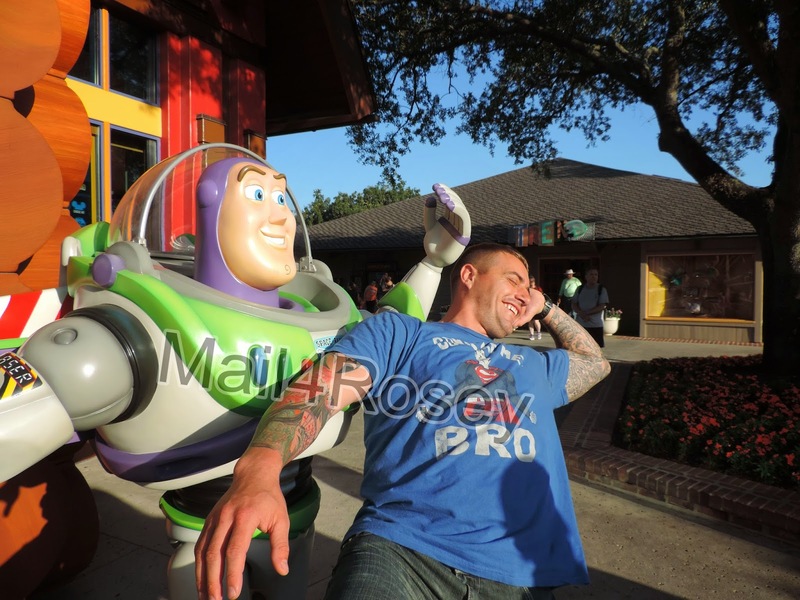 Disney World is such a great place, I remember going there and loving it. This looks like an ideal getaway for you and the family! We love WDW! So special, so glad you got to go and take your family. We are going next year and I just can't wait. It is great that you were able to see most of your family the entire time you were there. That had to have made it extra special for you! What a special day spent with your family! It's so sweet that your son made it even with the little time he had. 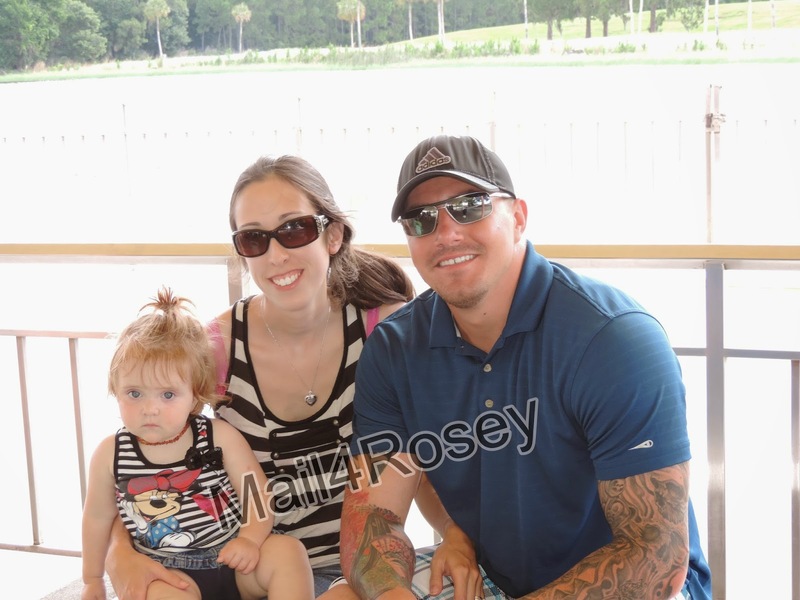 You have a beautiful family, Rosey! Your granddaughter is adorable and growing!! I bet it was so neat to see her having fun there! We can't wait to take Piper!! I think about it often! Great way to kick off summer! Hi Maria! My grandbaby is a little sweetheart and I did love seeing her! 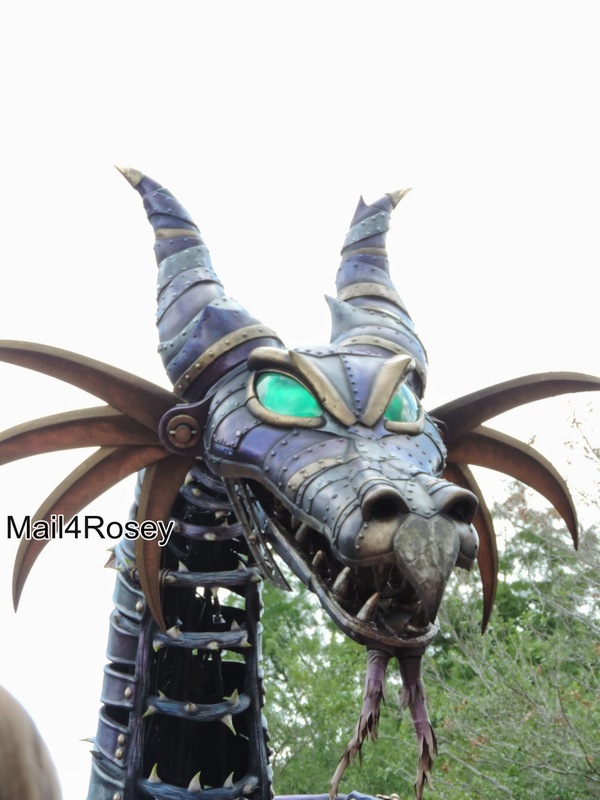 Are you in Disney World - how fun - did you you drive thru Atlanta? We flew. And I wouldn't drive through your neck of the woods w/o letting you know first. No way, nuh uh, no how. :) Glad to see you posting! We vacationed at Disney World two years in a row. Its was two of our best vacations. Glad you enjoyed your time with family. Looks like such a fun time. I cannot wait to take my daughter. We love Disney try to get down once a month. Looks like you had a fun time. I have taken my 2 older kids to the park, but the toddler has not gone yet. He loves Mickey and is totally going to be really excited when we do finally go with him. 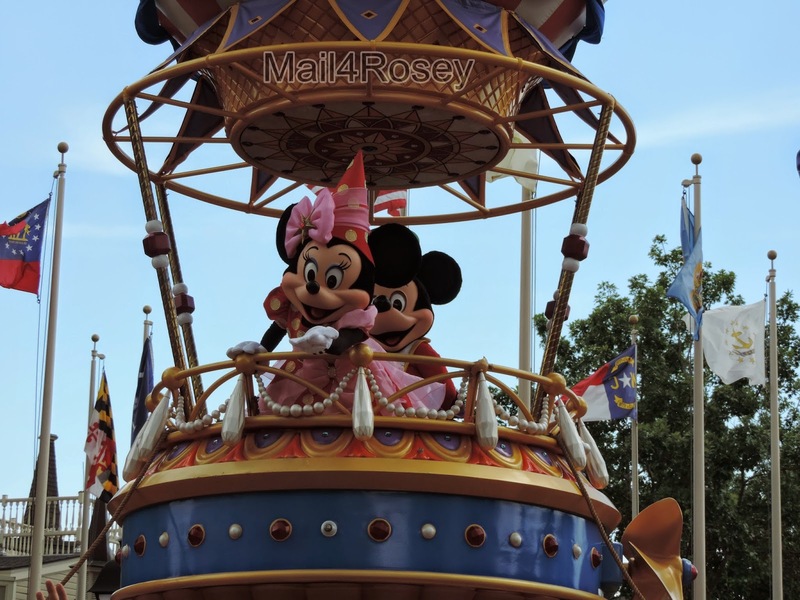 I love a good Disney parade - awesome that you got to see two! Looks like you all had a great time. Looks like an amazing trip for the entire family. We went last summer and had a blast! Looks like lots of fun! We live right near Disneyland, but haven't been in a long time. Thanks for the smiles! Your kids look like they really had the times of their lives. We are going to Disney in 116 days, and I can not wait! It looks like the entire family enjoyed the trip. I think that is so cool that you were within walking distance of Downtown Disney. We stayed at the Disney resorts, but we had to take their buses to get there since it was quite a bit away still. You are so right. They really do know how to throw a parade. We bought the Christmas parade tickets last time and it really was the highlight of the trip. Wow! This looks like such a fun time! We have never been to DIsney- can't wait to take the family. So fun, you're making me want to take an impromptu trip to Disney! Looks like you guys had a fun trip! I love the pool! It looks like you guys had a great time. Elliott spent today trying to convince me that we need to go to Disney World again in the spring, instead of Virginia and DC like we have planned. I would be okay with that, but I already know my husband's answer would be no because he wants to take Elliott to see other parts of the country and we've already been to Disney World. My parents took us to Maryland once when I was in high school to go to my stepmom's family's house. We drove right through DC and they didn't take us to any of the tourist attractions. I am still pretty bummed that we didn't get to see anything while we were there. Enjoy your family vacation! It looks like you all had a blast. My son went to Disney World a few years ago with his grandparents and he loved it. I think they are planning to take him back next year. Looks like a great time was had by all and how wonderful the kids could all join you. That just makes it extra special! One of my favorite places to go with my family! Definitely is the happiest place on earth! Wow it looks like you and your family had a blast, and I didn't realize that tickets did not expire! That is really cool that you can go back and use the ones you didn't use!? Not all of the tickets are like that, Felicia. Make sure you check what kind you are buying before you pay! I've never been to Disney, looks like you had a blast! We haven't been to Disney since my oldest was two weeks old. I miss it! So happy you had a good time girl! Everybody looked happy and you were with all your kiddos and that is happiness in itself! I can't wait to take my hubs and son there for their first time...maybe soon! Hugs great pictures and post as always! We've never been to Disney but I can't wait to take my family there. It's such a magical place to visit. everyone is posting about disney right now, i so want to go. looks awesome. We are going to Disney this fall and so excited. We always have fun there. Sounds like you had a lot of fun! 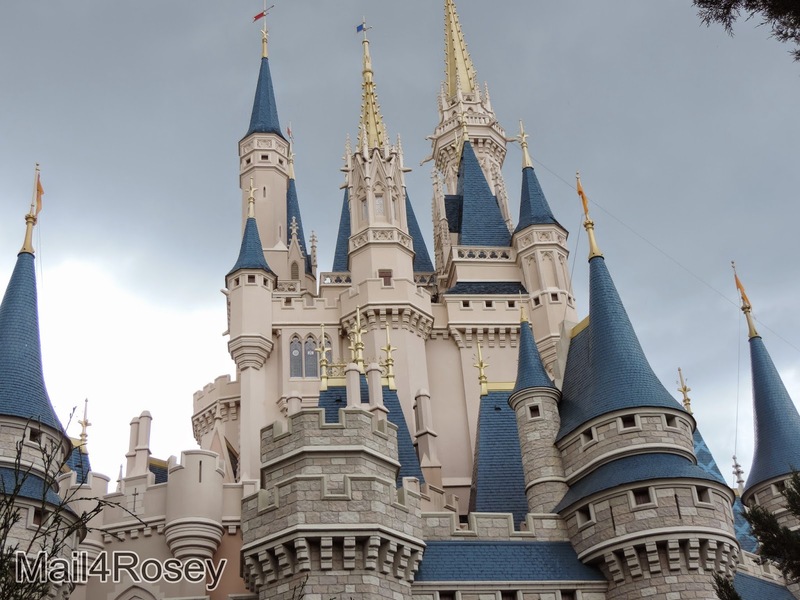 And the pics make me really want I could go to Disney World too! Oooh! Awesome picture with Buzz! Looks like you guys had so much fun! So lovely! I've heard soo much about disney world over the years. I hope we get to go one day and enjoy the festivities with the kids. Glad you had a wonderful adventure and with the family at disney world! Ahh yes! It is always a good thing when mama likes the kid's mates :) Glad she was down to earth! What an awesome fun adventure! Im just here smiling reading and looking at y'all! Awe. I am so glad that all the kiddos were able to be together, even if it was a brief visit... better some than none, right? Looks like you had a great time. I really need a vacation and I would love to visit this place as well. So great that you were able to experience this with family and friends! We can never get enough of Disney! Looks like a fun vacation! We're heading to Disney World in November - can't wait! It looks like y'all had a wonderful time - and what a beautiful family you have! Ahh! I want to go to Disney SOOO bad! Looks like a blast! Looks like you guys had a great time! 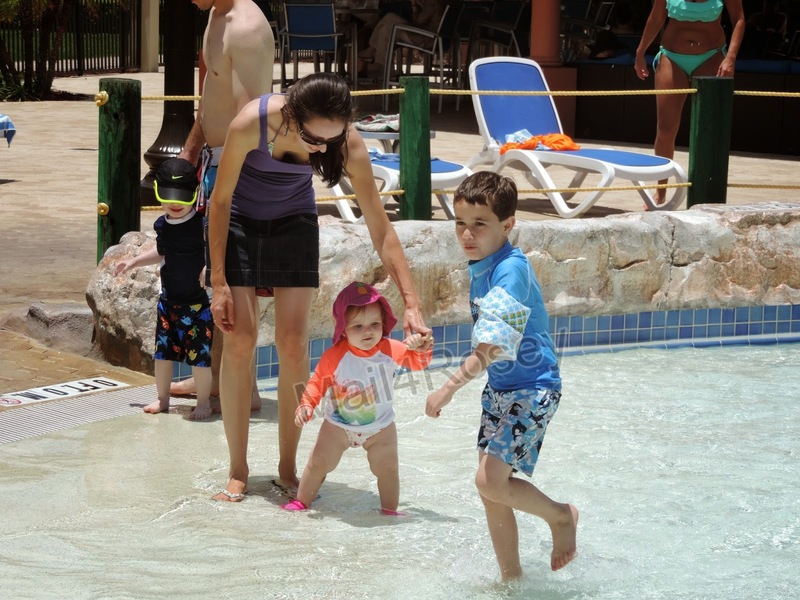 We can't wait to go back, our kids had so much fun! What fun! 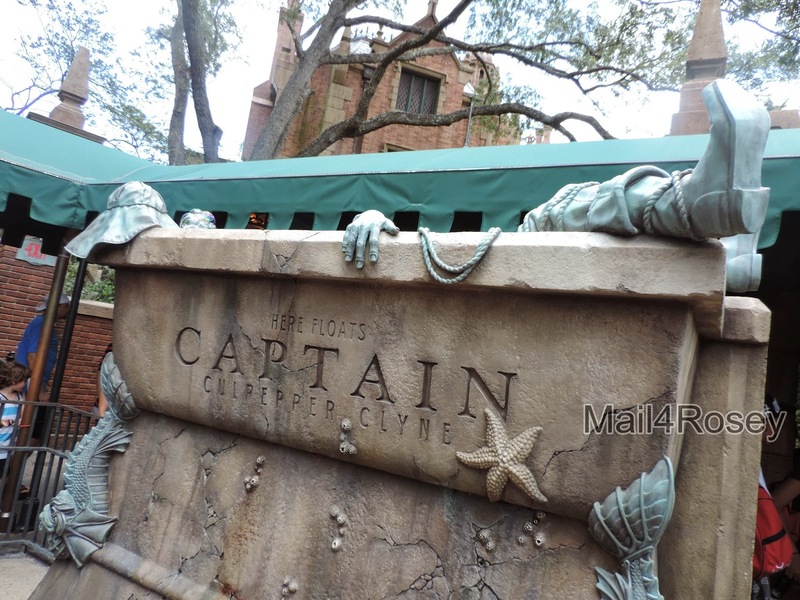 I didn't realize they had splash areas there! That's the Wyndham Lake Buena Vista hotel where we stayed (right across from Downtown Disney). Glad you all had a fantastic time. It is such an awesome time there for kids and parents. I have only been there twice in my life but had fun as a parent and a kid. Thanks for sharing. We are going on a cruise with some Disney characters..
That will be awesome!! I'd love to do a Disney cruise! So much fun!! I haven't been in years...thanks for sharing on the Thursday Blog Hop! Happy 4th!